Airpura C600 Air Purifiers are used to assist in the removal of heavy concentrations of toxic gases and chemical vapors. 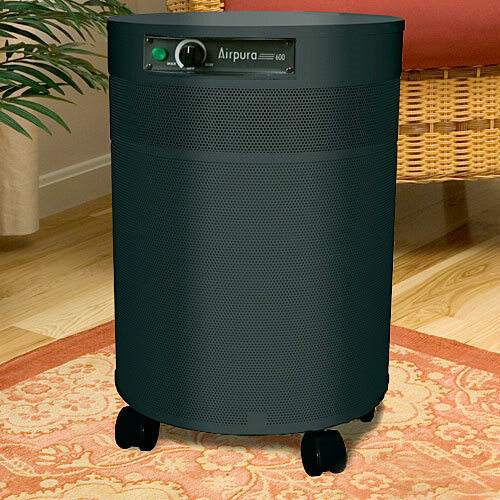 The Airpura C600 has 26 lbs of Activated carbon. 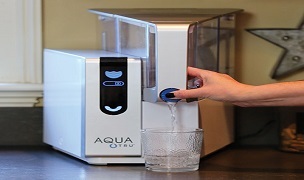 See Airpura C600 ratings and reviews. Enjoy fast, free shipping on Airpura Air Purifiers. 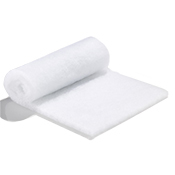 Includes 1 Micro-Barrier filter cloth for Airpura C600 & T600 air purifiers. Replace annually. 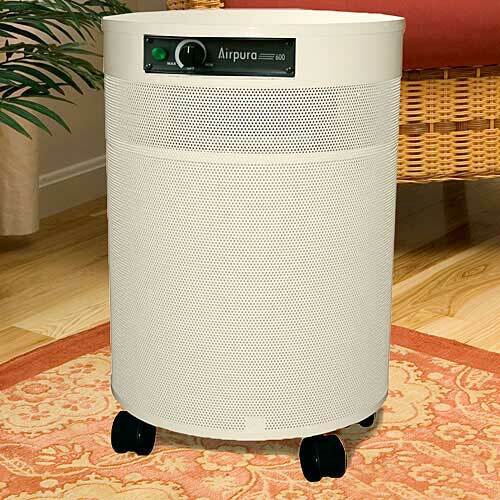 The Airpura C600 is air purifier is for indoor environments polluted by chemical vapors and toxic gases. 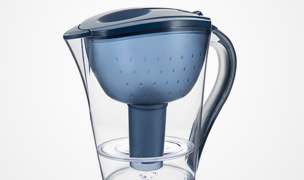 It features a robust 26 lb Activated carbon filter that is 3 inches deep to effectively adsorb gaseous pollutants. 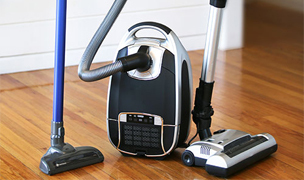 The Airpura C600 has a powerful motor and unimpeded airflow to quickly and quietly clean the air in areas up to 1575 sq. ft. achieving 2 air changes per hour. 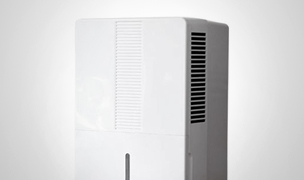 For heavily polluted environments this air purifier should be used in room size only up to 550 sq. ft. as to achieve up to 6 air changes per hour. 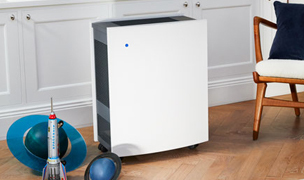 All Airpura Air Purifiers have a sealed design, felt gaskets and all metal housing to prevent off-gassing and are safe for MCS sufferers. 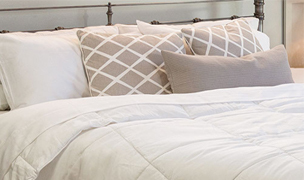 Lives in an environment polluted by heavy concentrations of chemical vapors or toxic gases. 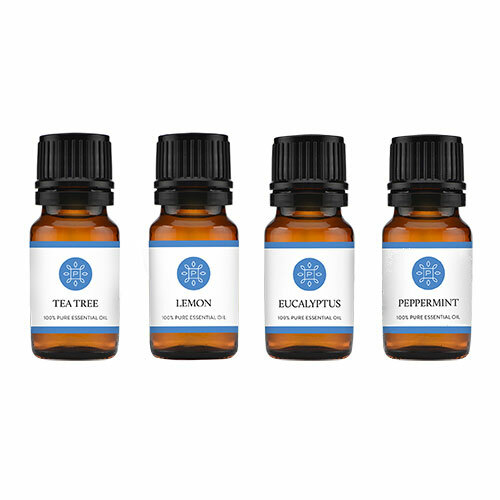 Suffers from MCS (Multiple Chemical Sensitivities) and is primarily concerned with removing multiple chemicals from their indoor environment. Wants an air purifier capable of adsorbing a large amount of chemicals before needing a filter change. The Airpura C600's 3-inch deep carbon filter increases the dwell time of polluted air for more chemical, gas and odor absorption. 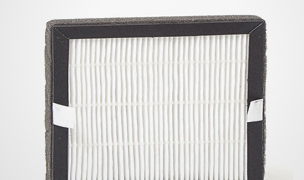 Airpura's unique pressure seal on the filter chamber ensures that all of the dirty air passes through the filters, without any leakage. 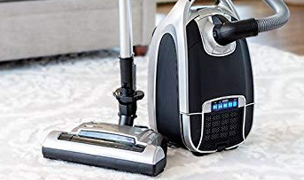 Additionally, the motor and electrical parts are located in a separate compartment which prevents off-gassing from components and does not allow impurities to be re-introduced into the clean air. The 560 cfm fan motor combined with variable speed control and unimpeded airflow allows the unit to be set at the desired level of airflow to achieve the results needed. 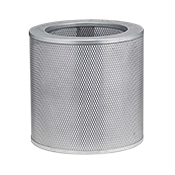 Micro-Barrier Filter: replace every 12 months for normal household use. 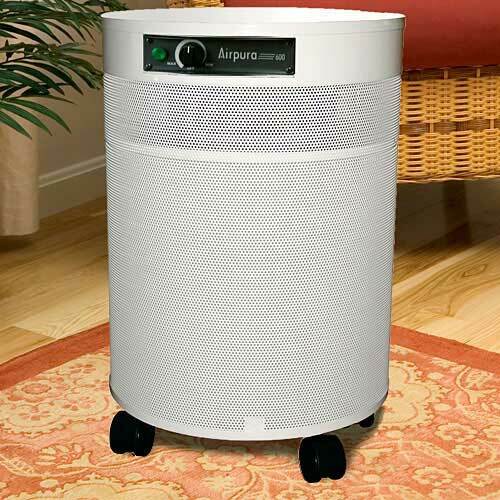 The Airpura C600 Air Purifier is designed for environment that are heavily polluted by chemical vapors or toxic gases requiring highly efficient carbon filters that are robust enough to help remove those compounds. 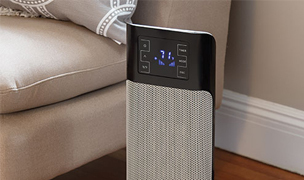 Equipped with a 26 lb, 3 inch deep Activated carbon filter the C600 is able to remove chemical contaminants and provides a long dwell time to efficiently adsorb more chemical pollutants on the first air pass that other air purifiers. 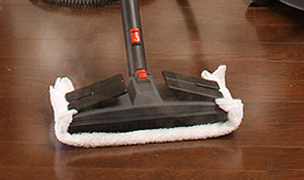 A full 26 lbs of high quality Activated carbon packed 3 inches thick ensures effective chemical adsorbtion. 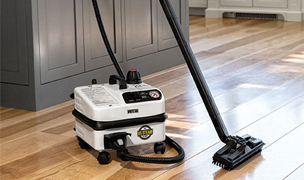 Offers one of the largest room coverages of any of our air cleaners at up to 1575 square feet achieving 2 air changes per hour. MCS friendly. Airpura does not use any silicone, rubber, or plastic in their gaskets or internal parts and the body is made up of non-off gassing powder coated steel. Furthermore, the motor and electrical parts are separated in a sealed chamber that prevents any off-gassing while protecting the components from any of the contaminants. 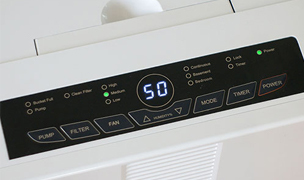 The variable fan controls make it easy to select a noise level and air flow which suits your preference. Considering the volume of air being moved, the highest speed was quieter than we expected. 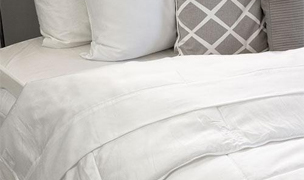 The medium and low settings produce a low background white noise and can be set low enough to make only a whisper. Excellent warranty. We are always happy to hear that a manufacturer will stand behind their product and Airpura is no exception with their 5 year warranty on parts, 10 years on labor and motor. 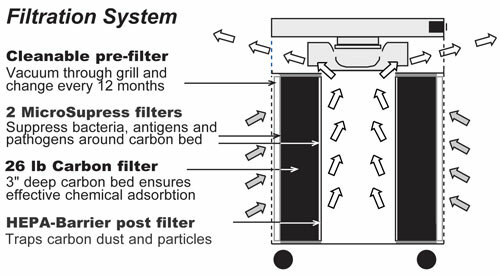 The Micro-Barrier particle filter is not a HEPA filter. 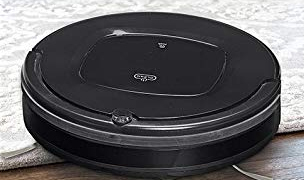 It will capture airborne particulates 1 micron and greater, such as carbon dust, but does not have the ability to capture sub-micron particles. No filter change indicators. 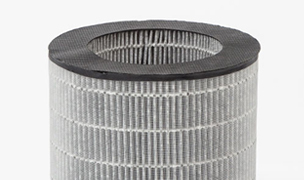 It is up to you to keep track of filter usage and when they need replacing. Replacing the filters requires a bit of work. To access the filters, the C600 needs to be turned upside down so the bottom plate can be unscrewed and removed, then the filters can be lifted out. The unit weighs 49 lbs and the carbon filter alone weighs 26 lbs and can be heavy for some to lift. 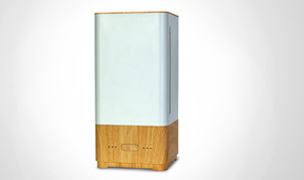 The Airpura C600 is a specialty air purifier designed for removing chemicals and gases from the indoor air. 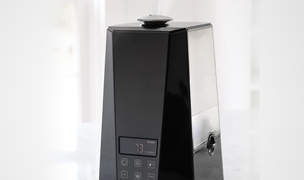 We recommend the Airpura C600 for indoor environments polluted by high concentrations of chemical or gas vapors produced from fire or smoke, second hand smoke, perfumes, cleaning products, cooking odors and off-gassing of toxic gases. The Airpura C600 is also a great choice for use in MCS situations. Please keep in mind this machine is not for sub-micron particle removal. 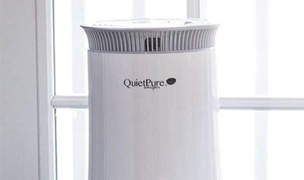 If you are in need of an all-purpose air purifier that will remove a substantial amount of chemicals, gases and odors, as well as offer excellent airborne particle removal, we recommend the Airpura R600. 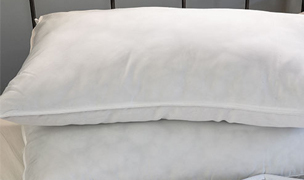 Includes 1 Micro-Barrier filter cloth for Airpura C600 & T600 air purifiers. (Cloth only, frame not included.) 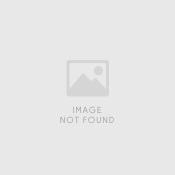 Replace annually for residential use. Includes 26 lb. 3" deep activated coconut shell V-blend carbon filter for Airpura C600 & T600 air purifiers. Replace every 2 years for residential use.